The toddler years can be challenging for both mom and tot. 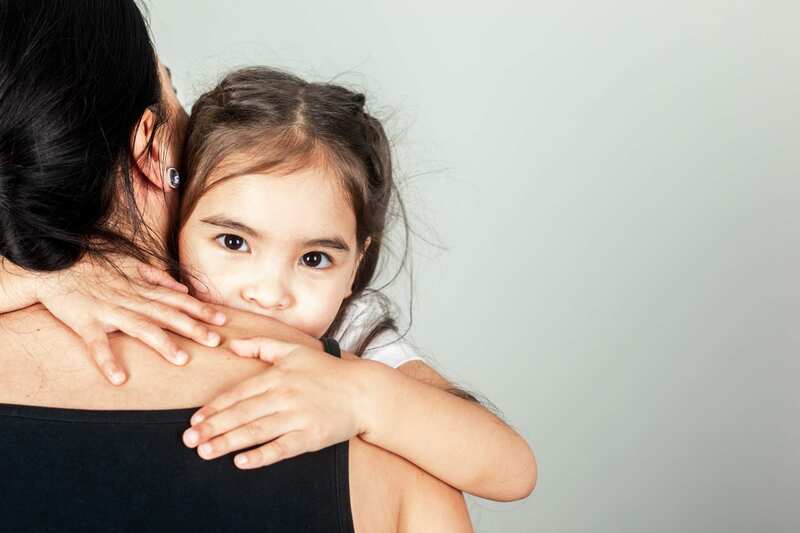 Toddlers are just learning about boundaries and can have some pretty strong emotions and reactions, and how you handle your little one’s meltdowns truly makes a big difference. While time out may be the most traditional way of handling a toddler temper tantrum, more parents are looking to positive parenting and the “time in method” of getting through those toddler years. Let’s take a look at what a time in is and why this approach may work better than time out. What is a Time In? So, what is a time in? A time in is exactly as it sounds. It’s the opposite of a time out. Instead of giving your child space to deal with their emotional meltdown alone, you help them check in with their emotions instead. A time in works by having your child come sit close to you and then allowing them to express their strong emotions instead of asking them to stop. This approach will also help them calm down more quickly by giving them a safe place to express their feelings. The parent can sit and let their child know they understand why they feel a certain way and sit quietly until they calm down. Keep in mind that a time in does not mean you have to sit and continue to allow your child to misbehave. It’s about being there to let your little one know that you understand why they are upset and to help them calm down by calmly addressing the problem at hand. Why does Time In Work? Time ins can be extremely effective for more than one reason, and they can even be helpful for the parent. It can help you connect with your own emotions and think before reacting. This is helpful for not only handling your toddler’s tantrums but for other aspects of life as well. Interested in seeing how time ins work? Here’s an example of how to implement this method. If your toddler is playing with a group of friends but continues to take toys away from his playmates, you can calmly step in and ask him to please come sit with you while you have a chat. Start by asking if he knows why he is taking a break from playing. This will allow reflection and time for him to answer before a correction is made. Explain to him that you know he is having fun with the toys and his friends, but that taking toys away from others can make his friends feel upset. Once he understands, allow him to go back to what he was doing. By taking this approach, you completely avoid a total meltdown from occurring, you teach right from wrong, and your child still gets to enjoy their play time! Do you see how this could work in different situations in your day to day life? For many parents, this approach is a total game changer. Timeouts aren’t always the most effective method of handling a tantrum, and here’s why. Putting your toddler in timeout does not actual help them learn to balance and regulate those strong emotions they are having. It doesn’t get to the root of the issue which is simply them not being old enough to regulate these emotions on their own. Timeouts also don’t necessarily teach them the right way of doing things. They are left to deal with their strong emotions alone but are not given any direction on what an appropriate response would be. Is Time In Right for Your Family? How you choose to parent is such an incredibly personal choice, and there’s no right answer! How you parent will be what is best for you and your family, however, if time in’s sound like something you want to give a try, they may be super beneficial for everyone in your family. If you feel like you are constantly dealing with a power struggle with your toddler, try giving time in’s a try. You may be surprised at what stepping away from the situation, talking to your child and letting them express their emotions will do the next time they are presented with a tantrum-provoking situation.